We all have that friend that wears a pair of snickers at any occasion, whether it’s a wedding, school prom, on the beach or on a snow day, he/she’s always walking around wearing his/her favorite shoes. And to be honest we can’t blame them for wanting to feel comfortable all the time. 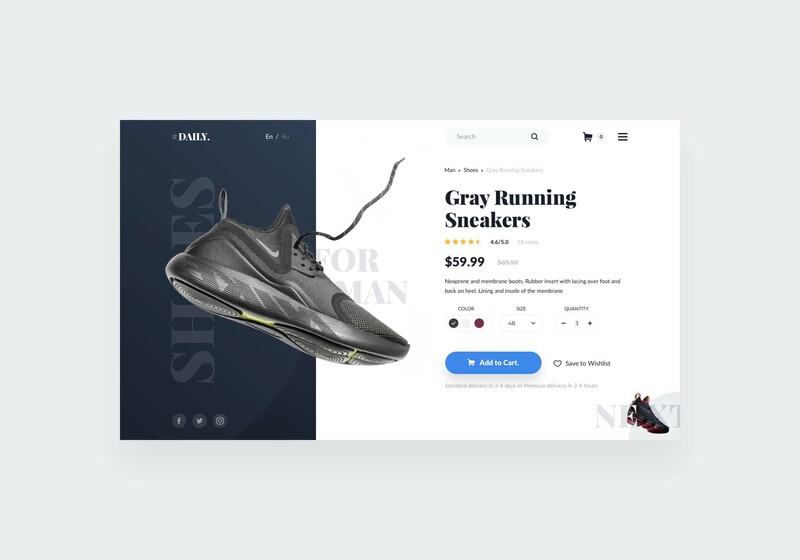 In honor of all the sneakers’ lovers out there, we’re sharing this free UI single product created by Anton Pecheritsa. It will save you so much time and effort and will allow you to create a special product page for your sneaker or any other product you have. You can download the layout for free, and then try to present it in your own unique way. It’s available in PSD format and is perfect for your web or app design. So put your own product on and get creative!